Corymbia ficifolia will often be found under its old name Eucalyptus ficifolia. Corymbia ficifolia is a common street tree in coastal communities. For the most part the Red Flowering Gum is pretty well behaved as a street tree. 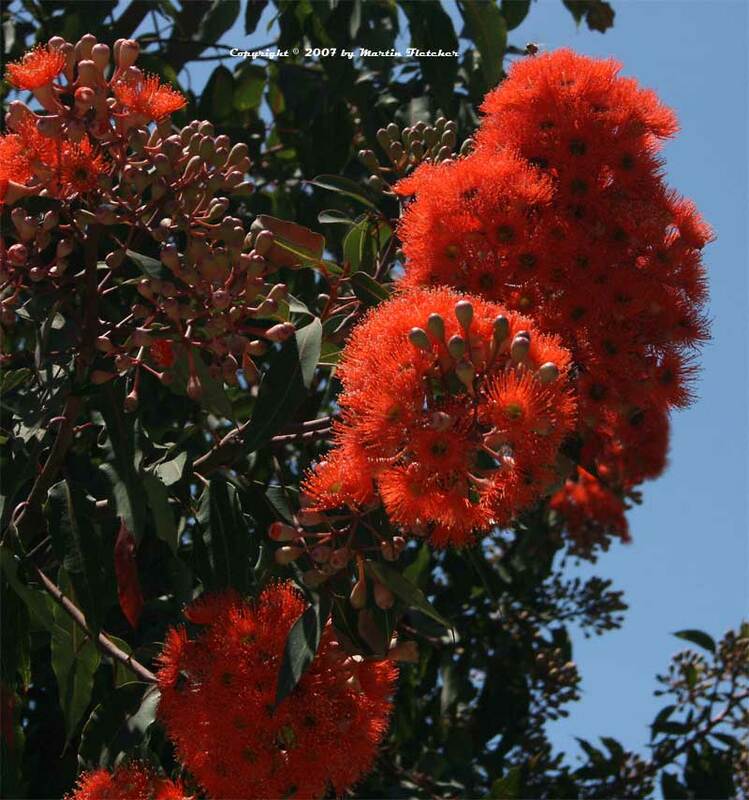 Corymbia ficifolia is a favorite tree for attracting hummingbirds to your garden. During our Christmas Bird Count Eucalyptus trees can be depended upon to have a few choice warblers and a wealth of hummingbird activity. Corymbia ficifolia is a common street tree with flowers that can be pink, white or red. Red flowers of Eucalyptus ficifolia - Red Flowering Gum. High resolution photos are part of our garden image collection. 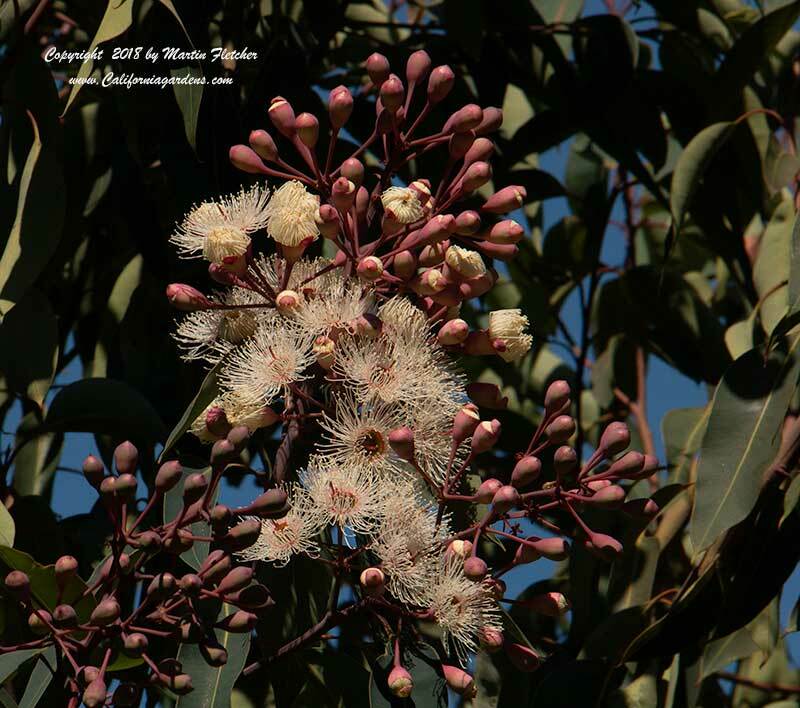 White flowers of Eucalyptus ficifolia - Red Flowering Gum. High resolution photos are part of our garden image collection.